Steel Toe Brewing expansion is serving both customers and the community through charitable giving. 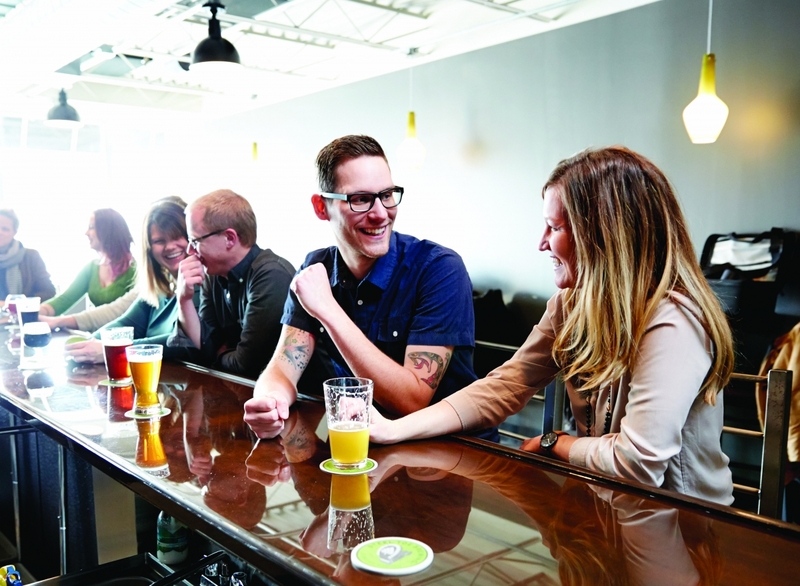 Unless you’re biking along the Southwest Trail or dropping a child off at Kenwood Gymnastics Center, you’re not likely to stumble upon Steel Toe Brewing, located in an industrial area of St. Louis Park. The view from inside isn’t much to behold—the layout is simple, the walls are bare. It wouldn’t be until you sat down and tried a glass of beer that you would know you stumbled upon a hidden gem. Steel Toe kicked off in 2011, with Schoneman lacing up his work boots and hitting the ground running. “I pretty much did everything for the first six to eight months,” Schoneman shares. That is, until he began building his team of nine, who, from what he says, are as solid as the brewery’s name. “Finding people who come here and treat the brewery like it’s their own, work hard and take pride in what they do—that’s essential to making sure what’s in the glass is great,” Schoneman says. And according to the community, what’s in the glass is great. Musolf attests, “I think that their beer Provider, which is one they first launched with, is about the best microbrew—I would put it up against anybody’s beer.” With a hard-working team and a community of regulars who supported the brewery, Steel Toe grew in popularity by word of mouth, and eventually outgrew the original space. Before the brewery’s expansion last April, many Steel Toe fans struggled to get in the door. “Once the word got out about this place, it went crazy,” St. Louis Park resident and Steel Toe regular Jim Younger says. “We got tired of turning people away,” says Schoneman, remembering the scene all too well. “The old taproom was so small that people would come to the door and not be able to get in.” Steel Toe opened their new space last April, which, in terms of square footage, is double the size of the original brewery, in the same location as before. Steel Toe was able to open its doors to more of the St. Louis Park community, while still offering the same quality product. But the brewery’s expansion made room for more than just bodies. Steel Toe’s taproom manager has been managing the flow of more than 30 food trucks seeking to serve outside the brewery, often booking the trucks months in advance for Friday and Saturday evenings. “It’s a cool relationship,” Schoneman says. “It’s good for them and good for us.” The presence of food trucks at the brewery will continue into the summer, when Schoneman plans to complete the expansion with the opening of Steel Toe’s new outdoor patio, providing even more space for people to enjoy their beer. The expansion has opened more doors than one, as Schoneman and his team have been able to use their new space to host events in support of the local community. Jim Younger reflects on a visit he made to the brewery last fall: “Steel Toe was holding a fundraiser and had the whole back room reserved, and Jason kicked in money to support. They didn’t have the capacity in the smaller space, but now they can do that,” he says. Amid positive changes occurring for Steel Toe, Schoneman and his team focus most of their energy on one goal: producing quality beer. Anyone who sits down with Schoneman knows that craft beer is the foundation and motivation for all of his hard work. 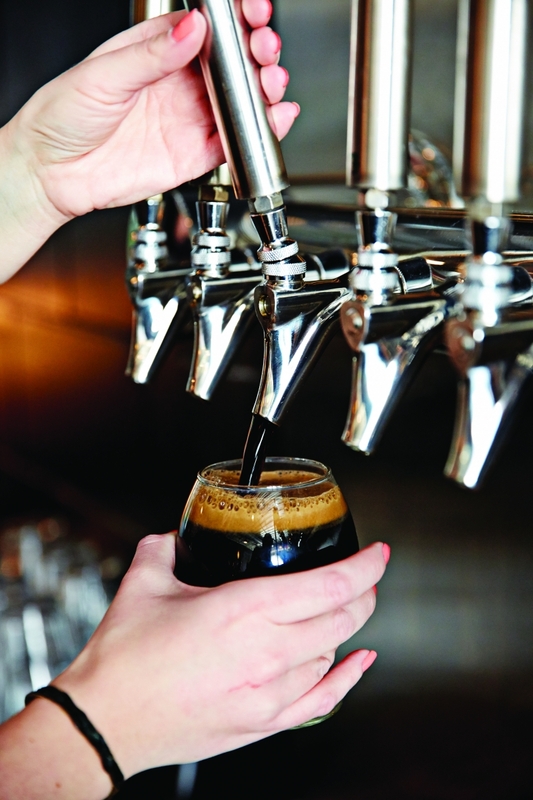 “It’s always the beer that I want to be the focus,” Schoneman says. Recognition for its beer reached the national level when Steel Toe took home an award for its Session India Pale Ale at the great American Beer Festival in 2015, but it’s the local supporters in St. Louis Park who make Steel Toe what it is. With the January release of their Size 11 beer, a triple IPA, and a new beer almost every month, Steel Toe’s team is working hard to produce a product that will continue to satisfy the taste of the community. “You could not like the location, you could not like the seating if you were picky, but you can’t say anything bad about the beer,” Musolf says.